In my recent newsletter article titled “A Course of Study in Analytical Thinking” I included “scientific thinking” as a specific type of thinking that we should understand and practice as data sensemakers. For this particular topic, I recommended the book A Beginner’s Guide to Scientific Method, Fourth Edition, by Stephen S. Carey as a useful introduction, but admitted that I had not yet read the book. I read others on the topic that didn’t suit the need and Carey’s book seemed to be the best bet based on the author’s description and the comments of several satisfied readers. Within a day or two of the article’s publication my copy of the book finally arrived and I’m relieved to say that it’s a perfect fit. It’s a short book of only 146 pages (including the index), but it covers the topic beautifully. It even includes quizzes and exercises for the dedicated learner. I especially appreciate its thoughtful focus on the essence of science and scientific method, never venturing into territory that non-scientists would find esoteric or intimidating. If you’re like me, you probably assumed that there were many good books of this type available, but this is surprisingly not the case. Given the importance of science and the fact that everyone should understand what it is and how it is essentially performed, this is a tragic void. Thankfully, Carey must have recognized this two decades ago when he wrote the first edition and has continued to serve the ongoing need by updating it every few years with current examples. Unless you’re already trained in the ways of science, you’ll find this book enlightening and enjoyable. It’s quite possible that you’ve already published a research paper in your field of study but somehow never learned what this little book teaches. I’ve read many research papers, especially in my field of information visualization, which had the appearance of science, with technical jargon and lots of statistics (often misapplied), but were in fact pseudo-science because the researchers and their professors did not understand the basic methods of science. So many time-consuming but ultimately worthless projects might have been salvaged had the researchers read this simple little book. P.S. When I wrote this blog post, I’d forgotten how horribly expensive this books is. It lists for almost $100. Even discounted, it will still cost you nearly $80. This is unconscionable. I doubt that it was the author’s decision to price it out of reach. I suspect that this is an example of Wadsworth Publishing’s shortsightedness. They see it as a textbook that only students will purchase – students who will have no choice in the matter. In fact, this book would have a broad audience if it were reasonably priced; so much so that the publisher and author would earn a great deal more money. What a shame! Until this changes, try to find yourself a used copy. Here is a very inexpensive alternative (used): http://www.amazon.com/Scientific-Thinking-Ryan-Tweney/dp/0231048149/. Looks like the third edition can be had for under $10. 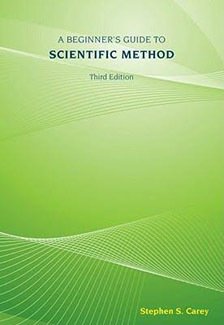 Hopefully the scientific method didn’t undergo too many changes between 2003 (3rd ed) and 2011 (4th ed).